Great for older dogs missing some teeth! Been using for over a year, works for me Bella! My fur babies love this!! Purina Dog Foods are the BEST!!! 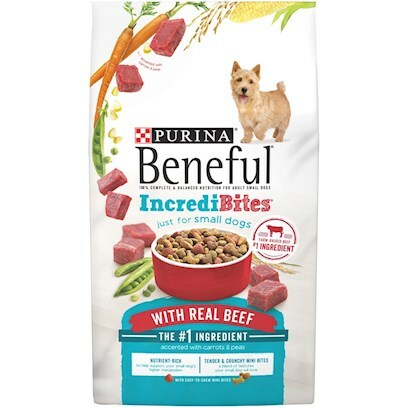 My Picky Eater Loves Beneful! It's the only dog food my dog will eat! Our 2 Maltese LOVE this food! Love the small bite size pieces. Both of my chihuahuas love it! Great, my puppy loves it. My boy loves it ! My Maltese love the taste of Beneful! Mmmmmmm... Looks like Cat Food! !